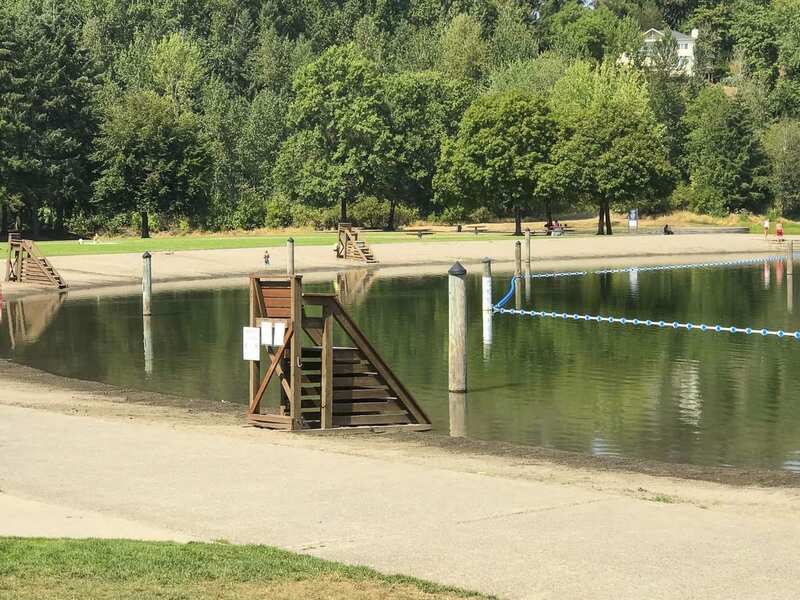 VANCOUVER — Clark County Public Health closed Klineline Pond Tuesday to swimmers due to elevated levels of E. coli bacteria detected during routine testing. Some E. coli bacteria can cause serious gastrointestinal illness if water is accidentally swallowed. Due to the elevated bacteria levels, Public Health is closing the pond to swimming and wading. People who fish at Klineline should take precautions to avoid water contact. “It’s especially important to keep children out of the pond because they are more likely than adults to swallow some of the water,” said Dr. Alan Melnick, Clark County health officer and Public Health director. Public Health posted closure signs at the pond this afternoon after water samples taken from the pond on Monday showed elevated levels of E. coli bacteria. Public Health will continue to regularly monitor water quality at the pond. The closure will remain in effect until tests show that E. coli bacteria levels do not exceed state and US Environmental Protection Agency guidelines. Public Health will advise the public when water contact is considered safe again. Test results and information about current advisories are posted on the Public Health public beaches website. Salmon Creek Regional Park and the splash pad, which uses municipal water, will remain open to the public. Water within the restrooms and shelters is not affected by the pond water and remains safe to drink. Park visitors may continue to fish in the pond but should thoroughly clean all fish and equipment. Fish should be cooked before eaten. Anyone having contact with water in Klineline Pond should wash hands with soap and water. E. coli is a common kind of bacteria that lives in the intestines of animals and people. The presence of E. coli in Klineline Pond water indicates that the water may contain bacteria found in animal or human feces. Some of these bacteria are capable of causing severe gastrointestinal illness. Depending on the cause, people with gastrointestinal infections may experience fever, abdominal pain, nausea, vomiting and/or diarrhea beginning several hours to several days or longer after exposure. Some infections may cause bloody diarrhea. People who experience bloody diarrhea or persistent gastrointestinal symptoms should call their physician or other health care provider.